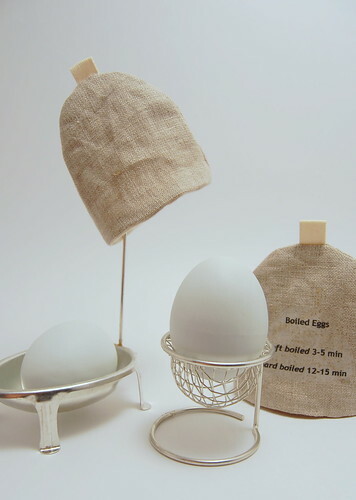 A bit later than promised, I know, but here it is: the tutorial for the egg warmers! The reason why it didn't get here earlier is because of problems with printers and internet connections and a computer deciding to install updates when I didn't want it to... and - I admit - some poor planning from my side... But, here it finally is! Step 1: Print pattern (when you click on the image it will/should open in another window) - when I tried this on my printer, I had to print at 50% to obtain the correct dimensions which are 12cm in height and 13cm in width, measured at the base - I suggest you check first (with an egg if you like) before you start cutting. 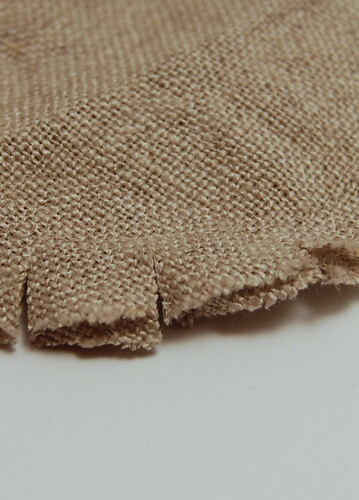 The pattern takes into account seam allowances already. 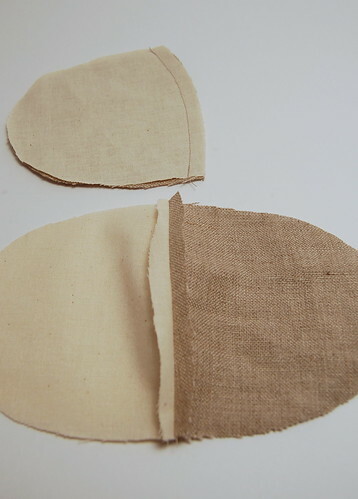 Cut the pattern from your fabric - twice for both lining and outer fabric. Step 2: Sewing - Pair up one piece of outer fabric with one piece of lining, twice. 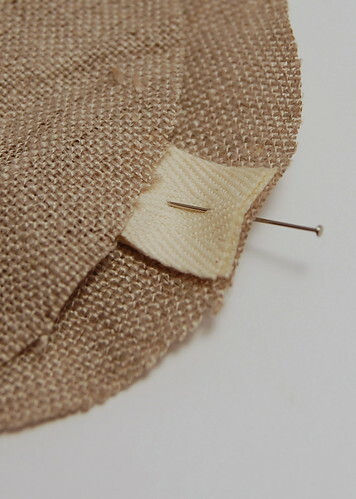 Place the two pieces on top of each other and sew together at the base about 5mm from the edge. Fold open and flatten the seams a little on both pieces. 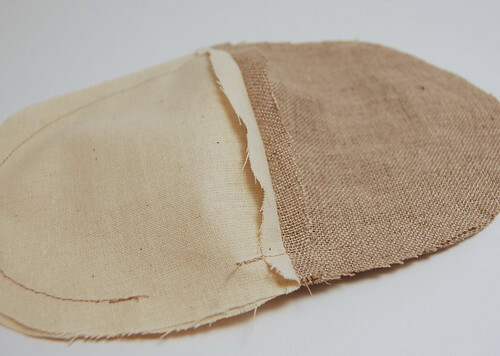 Now, put the two pieces obtained on top of each other - making sure you have lining on top of lining and outer fabric on top of outer fabric - right sides together. When doing so, sandwich your piece of ribbon in between the two outer fabric layers, squeezing the "loop" inside at the top. Next, sew the two pieces together 7mm from the edge, leaving a small opening in the lining for turning inside out the egg warmer. Make small cuts around the curved edges, perpendicularly to the seam. Turn the egg warmer inside out through the opening. Whipstitch the opening closed. Et voilà, an egg warmer!